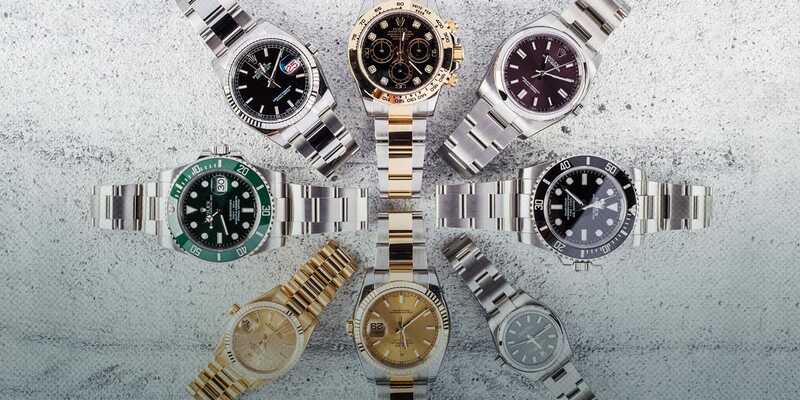 Why Do We Collect Watches? Collecting luxury watches, in fact collecting anything, has very little to do with logic. Some people, for example, collect coins, which they can’t spend. Others collect stamps, which will never go on a letter. Still others accumulate classic cars, which lack the reliability, comfort and performance of modern ones that are a fraction of the price. With fine timepieces, particularly mechanical models, there is even less rationality involved. No matter how much you spend on one (and in this case, the sky really is the limit), or how precise they claim to be, they will never be able to keep time as well as the smart phone every one of us has. Seeing as how that is a watch’s main function, and it can’t do it as well as something else we all already own, which can also do a bajillion other things, no one actually needs a watch. But what kind of world would it be if we all just bought the things we needed and nothing else? Building a watch collection is all about emotion, and practically nothing at all about sound reason. Below, we take a look at a few of the things that motivate us to accrue ever more of these miniature works of art. In their very early days, wristwatches were the sole preserve of women. They were delicate, fragile items, worn almost exclusively by aristocratic ladies. For men, it was pocket watches. It wasn’t until the usefulness of a watch that didn’t require two hands to operate proved itself during the 20th century’s bloodiest wars, that they became acceptable items for men to wear. Strangely, today, the vast majority of watch collectors are male, and the reason is fairly simple. For women, a watch is often just one more piece of jewelry. With men, the watch is most likely their only piece of jewelry. It is the one chance for them to show off their own unique taste, their individual character. 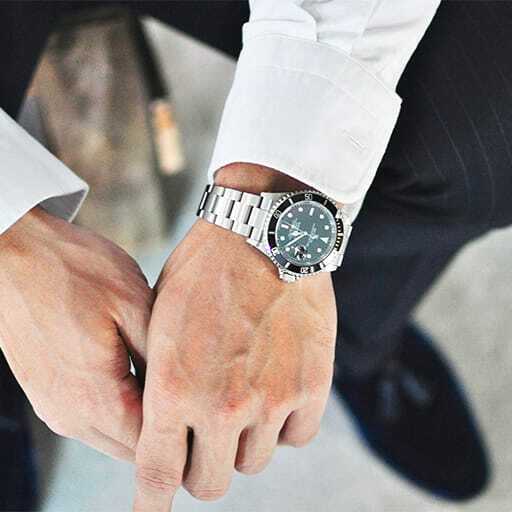 A man’s watch is a portable expression of his identity and it can have an effect completely disproportionate to its size. The watch’s make, type, even its age all give clues to the wearer’s persona. In that way, they share much in common with the car someone might choose to drive, but with the added advantage that the watch is always with them and is far more socially acceptable than say, a gas guzzling convertible. And, of course, personalities change the older we get. The things we wanted as teenagers are rarely the same things we want as we hit middle age or start looking at retirement. There is always the ideal watch out there that will perfectly reflect its owner, at whatever stage. In terms of microengineering prowess, there is very little can compete with the workings of a fine mechanical timepiece. It is a technology that has been around for centuries, constantly being developed and honed until, today, it has been elevated into an art form. That end result of hundreds of years of relentless work appeals to the nerd in all of us. But ingenious complications and remarkable precision alone aren’t enough and have to be blended with a look painstakingly styled by craftsmen and perfected over time. It is this marriage of form and function that give luxury watches their soul. To the uninitiated, the price of these little wrist machines might seem high. You can buy other, far more accurate and far less expensive watches. However, almost uniquely in the luxury goods business, a truly fine mechanical timepiece will generally not only hold its worth, but many also increase in value the older they get. Rolex, especially, make superb investments, thanks to their reputation, the quality of their manufacture and the scope of their heritage. Choose well, and the piece you buy today can be sold on in a few years for at least as much as you paid for it. Choose very well, and you can end up making a healthy profit. 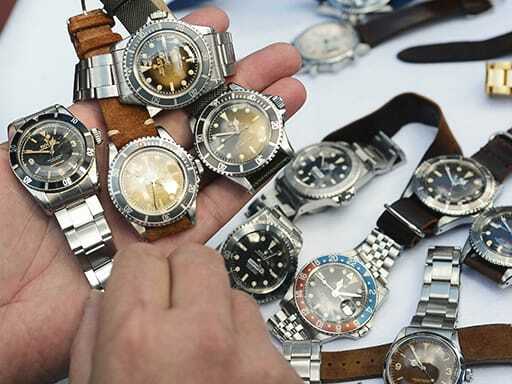 So, rather than being expensive, the cost of owning a Rolex is actually negative. It is no wonder that more and more people are electing to build a watch collection for both their aesthetic appeal as well as for their potential as a future asset. Becoming a watch collector is like joining an exclusive club. It is an incredibly tight-knit community, with passionate members of all ages and from every corner of the globe. The vintage market really started towards the end of the heady eighties, and its popularity has exploded since then. That leaves a huge number of extremely well-informed, avid collectors keen to share their knowledge with others. This meeting of minds occurs 24/7 on countless blogs, dedicated forums and all across social media, with Instagram in particular providing the ideal platform for those looking to both learn about different manufacturers and also show off their latest purchase. Off-line as well, there are a host of meet up groups for enthusiasts, whether already seasoned travellers or just starting their journey. You will meet with people from every walk of life and every type of background, all brought together by the mutual appreciation of horology. We all have our own wish list of watches, those models that, for whatever reason, we want more than any other. Depending on the relative scarcity of the piece, finding an example of it, in good condition and within budget, can present a real challenge. And that’s where a lot of the fun comes from. If it is your personal grail watch, chances are it is someone else’s too, and the acquiring of it develops into a competition. It can be a long game but, when you manage to secure one, it embodies more than just a good buy; it becomes a trophy. The bragging rights that come with owning something unique, or at least that no one in your immediate circle has, is what drives many collectors. There is a real satisfaction with unearthing a gem, particularly on those rare occasions when you get the timing just right and you pick up a piece that turns out to be the next big thing. For some, mint condition, never worn pieces are the ultimate find. But for others, it is those hints of a full life, the scratches on cases and bezels or the patina on dials that drives them. It is the imperfections that give vintage watches their character and it is the element that, possibly more than any other, remains the most important for many collectors. A brand new watch has a blank slate; a classic watch has a story—and no two stories are the same. All pre-owned watches are distinctive, with each example’s specific, matchless condition giving it a charm unlike any other. The pedigree of certain models also plays a major part in their appeal. 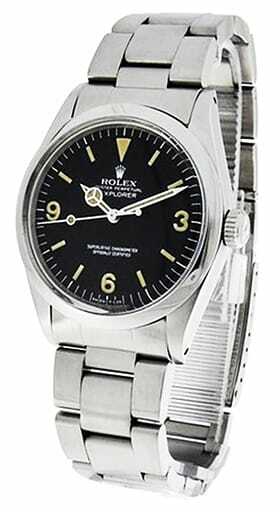 The Rolex Explorer was born on Everest’s summit. The Omega Speedmaster was the first watch worn on the surface of the moon. While we may never subject them, or ourselves, to that level of adventure, there is still a connection—and they bring us closer to some of the most significant moments in history. Vintage watch collecting is in its golden age at the moment. The market is going from strength to strength every year, with no sign of slowing down. It is a wonderful club to be in, one that appreciates the craftsmanship, tradition, artistry and passion of the makers of these mini masterpieces. Whatever your reason to join, the community, the story, the thrill of the chase or even the investment potential, there is no better time than the present.